1. 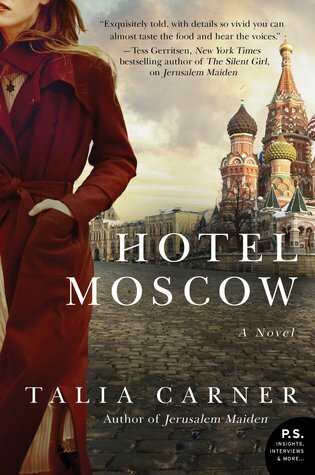 Hotel Moscow by Talia Carner from William Morrow for review. Inspired by the women she meets, Brooke becomes committed to helping them investigate the crime that threatens their businesses. But as the uprising of the Russian parliament against President Boris Yeltsin turns Moscow into a volatile war zone, Brooke will find that her involvement comes at a high cost. For in a city where “capitalism” is still a dirty word, where neighbors spy on neighbors and the new economy is in the hands of a few dangerous men, nothing Brooke does goes unnoticed–and a mistake in her past may now compromise her future. 2. 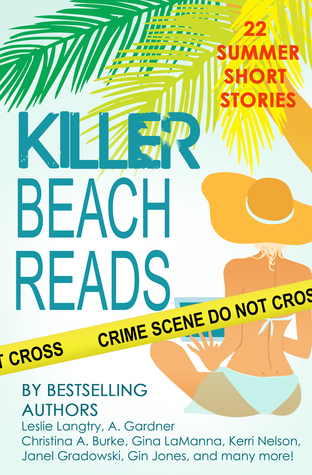 Killer Beach Reads (Mystery & Romance Short Story Collection) by various writers, including Janel Gradowski, purchased for Kindle for 99 cents. 3. 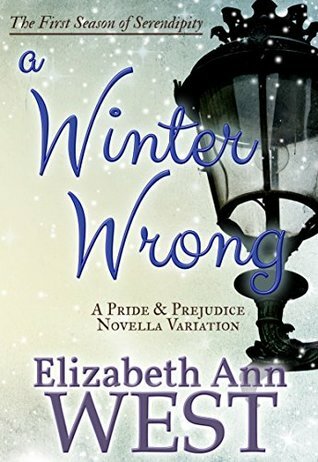 A Winter Wrong (Seasons of Serendipity, #1) by Elizabeth Ann West, free for Kindle. 4. 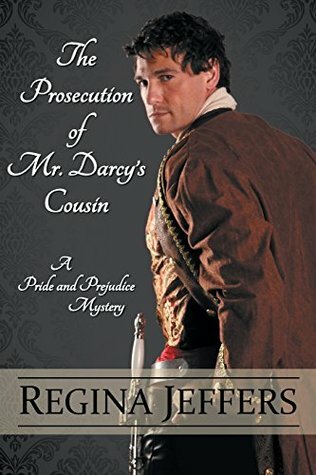 The Prosecution of Mr. Darcy’s Cousin by Regina Jeffers, which I won from Diary of an Eccentric. Fitzwilliam Darcy is enjoying his marital bliss. His wife, the former Elizabeth Bennet, presented him two sons and a world of contentment. All is well until “aggravation” rears its head when Darcy receives a note of urgency from his sister Georgiana. In truth, Darcy never fully approved of Georgiana’s joining with their cousin, Major General Edward Fitzwilliam, for Darcy assumed the major general held Georgina at arm’s length, dooming Darcy’s sister to a life of unhappiness. Even so, the Darcy’s troubles are far from over. During the major general’s absence from home, witnesses note Fitzwilliam’s presence in the area of two horrific murders. When Edward Fitzwilliam is arrested for the crimes, Darcy must discover the real culprit before his cousin is hanged for the crimes and the Fitzwilliam name marked with shame. 5. 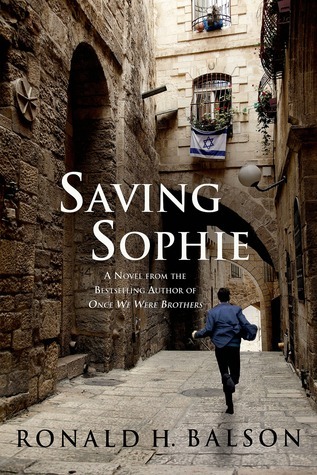 Saving Sophie by Ronald H. Balson from St. Martin’s Press for review. Liam and Catherine team up again to investigate an embezzlement case, and discover a link between their prime suspect, a kidnapping, and a terrorist cell. Jack Sommers was just an ordinary accountant from Chicago. That is, until his wife passed away, his young daughter was kidnapped, and he became the main suspect in an $88 million dollar embezzlement case. Now, Jack is on the run, hoping to avoid the feds long enough to rescue his daughter, Sophie, from her maternal grandfather, a suspected terrorist in Palestine. With the help of the investigative team who first appeared in Once We Were Brothers, Liam and Catherine, and a new CIA operative, a secret mission is launched to not only rescue Sophie, but also to thwart a major terrorist attack in Hebron. But will being caught in the crossfires of the Palestine-Israeli conflict keep their team from accomplishing the task at hand, or can they overcome the odds and save countless lives, including their own? The Disappearance of Georgiana Darcy by Regina Jeffers is a Pride & Prejudice mystery with heart and a devotion to Jane Austen’s characters as she envisioned them. The beauty of this novel is that it not only holds true to the original and what happened between the Bennets, the Darcys, and the Bingleys, but it also demonstrates that those characters can change and become more than Austen intended. Georgiana has vanished among the moors in Scotland while she waits for her husband Major General Edward Fitzwilliam to return from fighting France at Waterloo, and her brother Mr. Darcy and his wife Elizabeth are preparing for the wedding of her younger sister Kitty. The Darcys may be enjoying being new parents and building their small community of friends and family, but the Wickhams and Mrs. Bennet’s mischief are never too far away. Jeffers is true to the original characters, while intermingling the elements of gothic literature found in the prose of the Brontes. She creates situations with new characters that generate serious suspense that will have readers on the edge of their seat about the safety of Georgiana. Darcy is a loving husband, but he and his wife still have that back-and-forth banter that readers of Austen love. But their relationship has matured, with an absence of misunderstandings and temper flare-ups that got them into hot water with one another in the first place. Jeffers is at her best here with prose that keeps to the customs and diction of the past and mixes it seamlessly with modern sensibility. His wife joined him in his sitting room. ‘What would that be?’ Her voice betrayed her amusement. The novel pulls readers in easily, particularly with the mystery that leaves Georgiana’s captors and location a mystery until the latter quarter of the novel. The technique of intermittently showing readers Georgiana’s thoughts and concerns about her location as her kin learn of the erroneous reports that reached her in Scotland and her subsequent disappearance are well done. Jeffers also creates a set of villains that rival even Mr. Wickham, and the secrets revealed about the MacBethan family in Scotland will cause some readers to have nightmares or at least feel very uncomfortable. The Disappearance of Georgiana Darcy shows that beloved characters can evolve, have adventures, and learn to forgive. A teacher for nearly 40 years in the public school systems of three different states, Regina Jeffers is a Time Warner Star Teacher Award winner, a Martha Holden Jennings Scholar, a Columbus Educator Award winner, and a guest panelist for the Smithsonian. She served on various national educational committees and is often sought as a media literarcy consultant. Like many “snow birds,” Jeffers moved to the South several years ago. She is late to the publishing business, having written her first book on a dare from her students, who, literally said, “If you know all this, why do you not do it yourself?” On a whim, she self published her first book, and from there, everything happened at once. Now, writing for Ulysses Press in California, Jeffers is the author of several Jane Austen adaptations including Darcy’s Passions, Darcy’s Temptation, Vampire Darcy’s Desire, The Phantom of Pemberley, and Captain Wentworth’s Persuasion. She considers herself a Janeite – a member of the Jane Austen Society of North America and spends lots of her free time involved in such. Jeffers has now branched out into the Historical Romance genre. Her first book in the Realm series, The Scandal of Lady Eleanor, will be released in early 2011. Christmas at Pemberley by Regina Jeffers finds Mr. and Mrs. Darcy in a run of the mill inn right before the Christmas holiday as they are stranded by the snow and stormy weather on their way back from Newcastle. Meanwhile, Georgiana is forced into the roll of Mistress of Pemberley and must contend with Darcy’s guests, including Lizzy’s parents, the Bingleys, and some other unexpected and unpleasant guests. Jeffers sprinkles her prose with Jane Austen’s classic lines from Pride & Prejudice about Mrs. Bennet’s nerves and Darcy’s pride and Lizzy’s prejudices. She adheres to Austen’s characterizations ensuring that Austen purists will enjoy her followup novel, but at the same time, she demonstrates how Georgiana evolves from a timid girl in the shadows of her brother and Aunt Catherine de Bourgh to become a capable woman. Even better, readers experience more of Mr. Bennet’s wit and see Kitty as more than just a silly young girl. Lizzy’s precarious situation with her pregnancy has Darcy worried, especially so far away from home. But both take the situation in stride and offer the kindness they have in abundance to those in need. Darcy and Lizzy are at the inn meeting new people and sharing accommodations with a myriad of travelers. Meanwhile, Georgiana is juggling unwanted guests, and in many ways the guests are rallying and teaming up against Lady Catherine. Jeffers adheres to Austen’s characters and social commentary while building upon the original novel to create characters that evolve and come into their own. Christmas at Pemberley by Regina Jeffers is an quiet novel that meanders, enabling readers to spend the holidays with some of their favorite characters, but those looking for big plot twists and action will not find much of that here. Jeffers has created a solid novel that could stand alone. This is my 76th book for the 2011 New Authors Reading Challenge. Sorry for the delay in the winners announcements. I hope I don’t forget anyone. I’ve been a bit bogged down with work and other things this month. The winner of The Unexpected Miss Bennet by Patrice Sarath was Beth Fish Reads! The 2 winners of You Are My Only by Beth Kephart were Michael of Middle Grade Mafioso and Evangeline from Sugarpeach. I am sorry for the delay in shipping these books out. I’ve run into some issues that have precluded me from mailing them, but I hope to get them in the mail to you sometime after the holiday on Dec. 25. Please accept my sincere apologies. 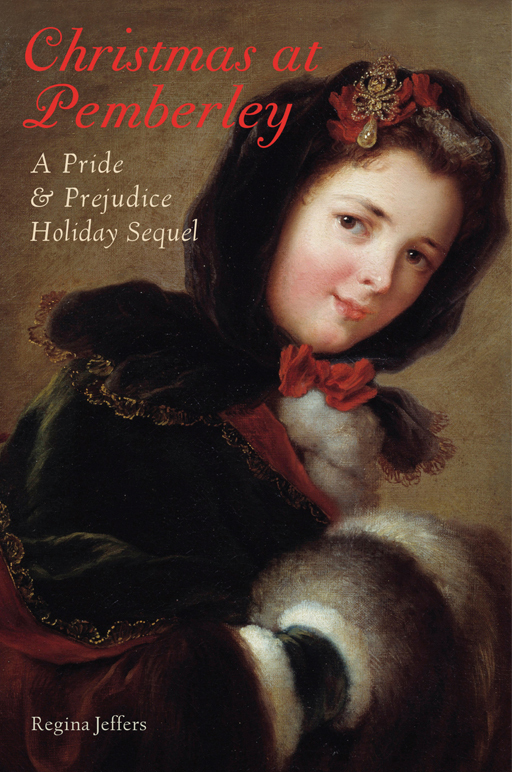 The winner of Christmas at Pemberley by Regina Jeffers was Cynthia Wong. With an influx of new Jane Austen inspired short stories and novels hitting the market, authors are looking for the best way to get readers’ attentions. Regina Jeffers has written Christmas at Pemberley, in which Georgiana Darcy must embrace the challenges of her hostess duties while her brother and his wife, Elizabeth, are stranded in a small town on the way to Pemberley by a blizzard. Jeffers uses the Christmas season to bring the Darcy, Bennet, and Bingley families under one roof, and you can imagine what kinds of rivalries and misunderstandings will occur. Today, Regina will give us a sneak peek into her writing space and habits. It also seems that we share a certain Mr. Darcy obsession, and my husband would definitely love her selection of NFL Quarterback since he loves the Miami Dolphins. For writing my novels, I prefer to have everything within my reach. Purposely, I separate where I actually compose my books from where I word process and edit my novels. I need the “disconnect” in order to separate the steps. I write my novels in spiral notebooks, usually wide ruled because I write large. I know from experience that 30 pages of my handwritten story equals ten pages of typed text (Times New Roman, 12 point font). I, personally, hate to read chapters that are longer than ten pages so I have trained myself to work toward that goal. If you read my novels, you’ll note the consistency in the length of my chapters. I love the reflected sunlight of this room. In the Regency period, this would have been a small sitting room used for waiting guests to be announced to the master. 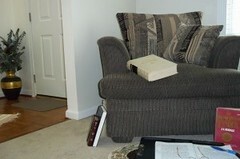 Note the lap desk, encyclopedic dictionary, and synonym finder beside my favorite chair. Some day, I will have to have this chair reupholstered. I fear my “inspiration” lies in the lumpy cushions. Normally, there is a cup of tea sitting on the nearby table. I brew my own – no American tea bags for me. One can also see my journal sitting at the side, along with my Bible. This is where the creative process comes about. Once I have written the book, I retreat to my “office” space to do the hard work. My office is the smallest of the three bedrooms in my North Carolina home. From the window, I overlook the curve of the cul de sac upon which I live. Not much happens in this small incorporated village, something I appreciate. It is quiet and relatively crime free. When I first moved here in 2003, “Miss Kitty,” my neighbor, brought me over a chocolate cake. (I didn’t tell her that I prefer white cake to chocolate. It would be rude.) I love the South!!! The office reflects my eclectic tastes. I love oversized furniture. 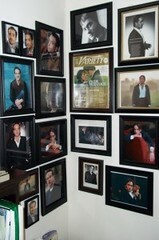 The walls hold my “interests.” Of course, there are multiple pictures of Matthew Macfadyen. I enjoy Colin Firth’s work (am a big fan), but I really LOVE Matthew. All the pictures are signed. Yes, I realize this is an obsession, but daily I remind myself that the word “fan” comes from “fanatic.” (BTW, I have seen “The Three Musketeers” six times to date.) I use post it notes of different colors to keep track of appearances, guest blogs, etc. I also am a big fan of Chad Pennington, the NFL quarterback. He attended Marshall University, where I went to school, but my respect for Pennington comes from his kindness to my son during the difficult period when my mother was dying. He showed himself to be a true gentleman. In Darcy’s Temptation, Chadwick Harrison is so called because of Pennington. Although I do not write much outside, I often take a cup a tea and a bit of research of which I want to peruse and sit in one of the two “cozy” spaces I have created. The first is a sheltered area at the front of my house. I bricked it all in and set up the potted plants and benches. I loved my hybrid roses and the hibiscus, but mums and pansies surround the area also. In North Carolina, the vegetation lasts well into late November. Behind my house, there is another bench draped by a weeping willow. It serves the purpose well. So, this is where I have managed to write twelve novels (Darcy’s Passions, Darcy’s Temptation (a 2009 Booksellers’ Best Award finalist), Vampire Darcy’s Desire, Captain Wentworth’s Persuasion, The Phantom of Pemberley (took 3rd in romantic suspense for the SOLA Awards), Christmas at Pemberley, The Scandal of Lady Eleanor, Honor and Hope, A Touch of Velvet, A Touch of Cashémere, First Wives’ Club, and Second Chances), in addition to two novellas (His Irish Eve and His American Heartsong) and one short story (“The Pemberley Ball”) in a little over four years. Christmas at Pemberley is my newest release and is currently available. I have a December 1 deadline for The Disappearance of Georgiana Darcy, which will take up where Christmas at Pemberley leaves off, but it will be a cozy mystery, rather than an inspirational romance. I am working on two others (one Austen, one non-Austen) at the same time. This is my Writing World. Quite simple. Quite plain. All me. Thanks, Regina for sharing your writing space with us.Please also check out the slide show of the remaining photos from her writing space. For those readers interested in reading about the Darcys, Bennets, and Bingleys during the holidays, enter the giveaway below. 1. Leave a comment about what you found most interesting about Regina’s writing space. 2. For up to 3 more entries, share the giveaway on your blog, Facebook, and Twitter, and leave a link for each in the comments. 3. Follow Savvy Verse & Wit for another entry. 1. My God, What Have We Done? by Susan V. Weiss for a TLC Book Tour at the end of September. 2. Devil Sent the Rain by Tom Piazza for review. 9. Saving Cee Cee Honeycutt by Beth Hoffman for my mom.